Performance, Driven By Quality. Cardan Service Network Manufactures Customised Cardan Shafts For Commercial And Industrial Use, With Unbeatable Quality, Delivery Time And After-Sales Service. At Cardan Service Network, performance is the goal. We are a full-service Cardan Shaft manufacturer, under the WiCHMANN Group umbrella, located in Dubai, United Arab Emirates. Cardan Service Network (CSN) Middle East operates under the auspices of the WiCHMANN Group, which is a certified German superior quality provider of Cardan Shafts for over 30 years. CSN now has operations in the GCC and MENA region. We are headquartered at Dubai Silicon Oasis, a logistically perfect hub for our growing regional footprint. Our key strengths as a company are Performance, Precision, Fast Delivery and Quality Service. 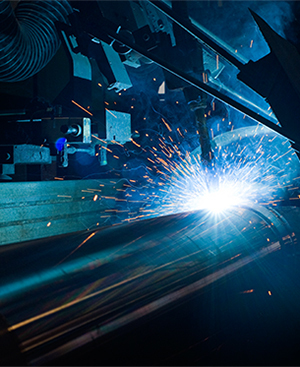 From innovation and development to manufacture and maintenance, we cover all aspects of Cardan Shafts for commercial and industrial use. The Propeller shaft required for heavy trucks differs from Light Commercial Vehicles. Construction Machinery is a key element in the real estate and development business. Industrial units require varied Cardan Shafts, depending upon the field of business.